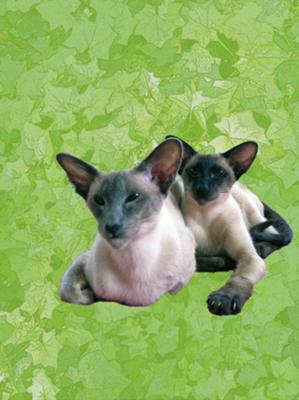 Whalleybush Siamese are based in Milton Keynes, Buckinghamshire, England. All our kittens are reared indoors and are suitable for pets or show. They are born in our bedrooms, and introduced into the living areas when they are three weeks old. They are played with, handled, cuddled and stroked to socialise them, and they get used to household noises like the TV, vacuum cleaner and dishwasher. They are housetrained at four weeks old. 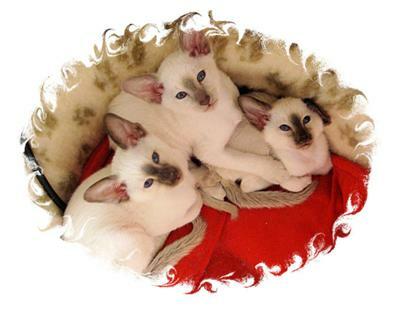 All kittens are registered with the Governing Council of the Cat Fancy (GCCF) and come with a five-generation pedigree. When they are ready to leave home they will be wormed, vaccinated for 'flu and enteritis and litter-trained. They are insured with Petplan for the first four weeks in their new home and the owner has the option to continue with this.